Medieval Spanish Chef: MANTEQUILLA WITH 13TH CENTURY RECIPE FOR NUTTY HONEY BUTTER SAUCE TO DIE FOR! MANTEQUILLA WITH 13TH CENTURY RECIPE FOR NUTTY HONEY BUTTER SAUCE TO DIE FOR! Ar, samneh, samn, Eng. 1. butter. 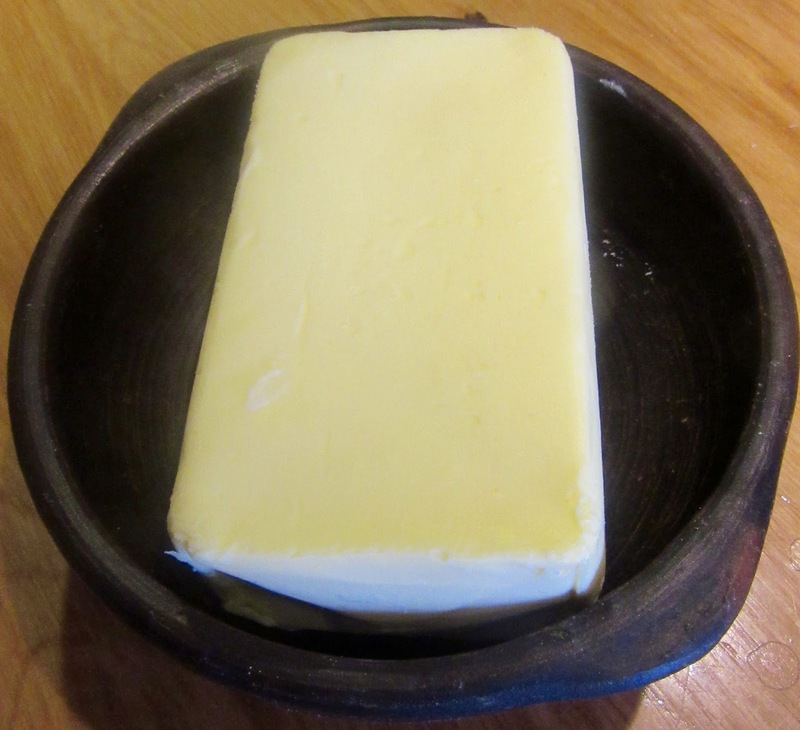 northern provinces, such as Soria and León, always, have been famous for their butters but in the Middle Ages, it was considered the poor man’s food. In Madrid and provinces south of it, butter was not commonly sold in shops from the time that there were enough olive groves in the 13th C., due to Arab influence, until the 20th C when it became available in supermarkets. Pour honey into a pot. Add clarified butter, saffron, pepper and cinnamon. Heat and bring to a boil. Slight beat eggs. Add the almonds, walnuts and pistachios. to the eggs and stir them before adding them to the pot. Stir until mixed and the sauce thickens. Remove from heat and serve as a sauce for desserts, a sweet sauce for meat or for dunkin bread.